Two new Designated Area Migration Agreements (DAMA) have been announced by the Department of Home Affairs. 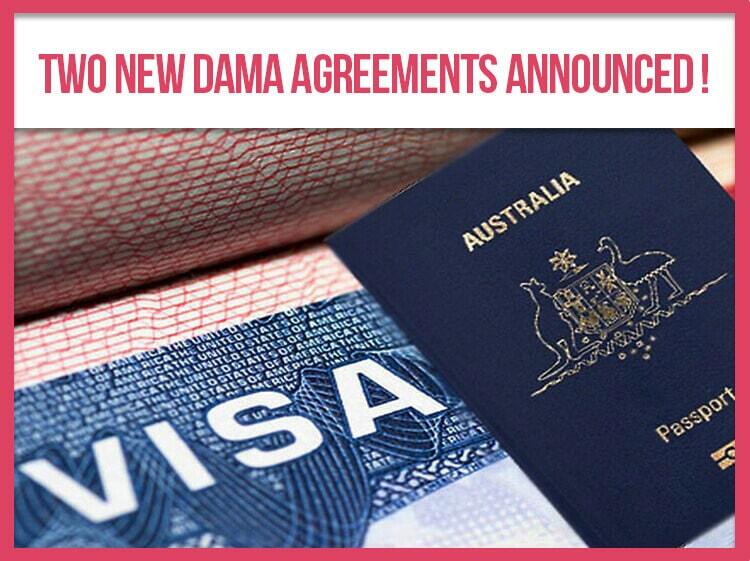 The new DAMAs will be signed by the government with the South Australian Government and Western Australia, the City of Kalgoorlie-Boulder. The South Australia DAMA will assist a range of industries including agriculture, forestry, hospitality, tourism, health and construction among others to assist employers with filling skills shortages. It will cover 60 occupations and up to 300 people per year will be able to be sponsored under the 5-year agreement through the Adelaide City Technology and Innovation Advancement DAMA. Up to 750 people per year will be able to access the Regional South Australia DAMA which covers 114 occupations. The Kalgoorlie-Boulder DAMA will offer 500 people per year the opportunity to work under the 5-year agreement covering 73 occupations. Despite the announcements of a number of DAMAs, the framework and processes within each of the DAMAs are still being negotiated and of course, we will be cover any new progress/development as they come in. If you would like further information on the DAMAs or are an employer in these regions looking to access skilled staff, please contact us now for further details.